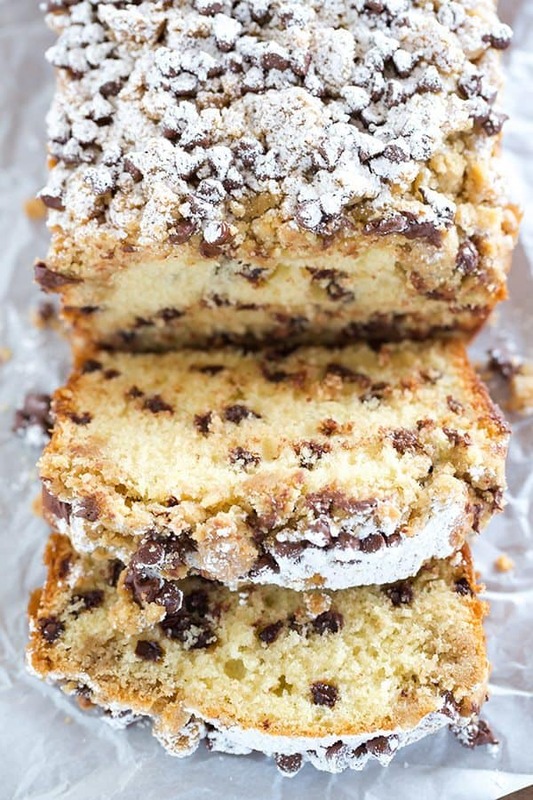 This chocolate chip crumb cake is unbelievably tender, loaded with chocolate chips and topped with the most amazing crumb topping! This cake has been a loooong time in the making. Many, many years ago, I posted a recipe for a buttermilk-chocolate chip crumb cake that I really loved at the time. 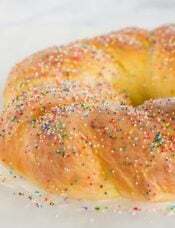 However, over the years, I’ve received many comments from readers who have had issues with it, specifically with the crumb topping melting into the cake. Unfortunately, the source of the original recipe no longer exists so I couldn’t easily troubleshoot; that meant time for a brand-new recipe. I think you’re going to love this one! My grandparents came over to visit Joseph last Friday, so I made this in the morning to have something to offer them with coffee. They raved about it, and then my husband and I proceeded to polish the whole thing off within 24 hours. An absolute keeper of a recipe! 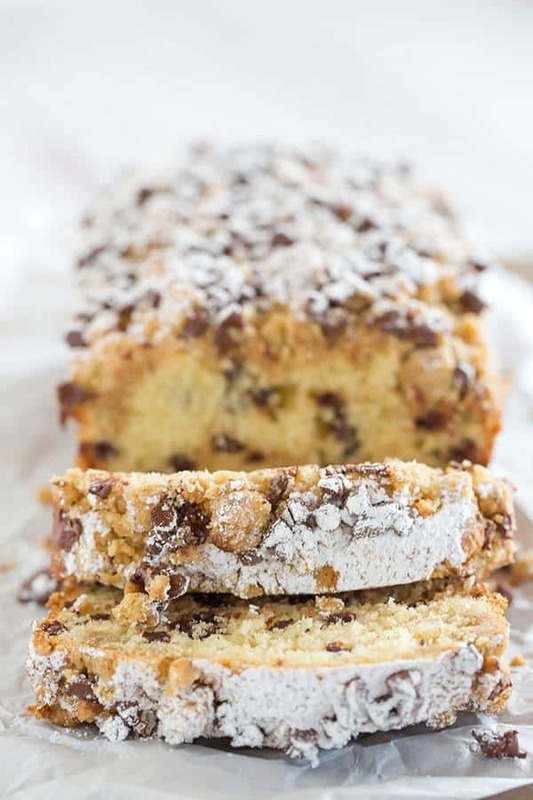 I wanted to keep the same style of cake I had make previously – a loaf cake with a tender crumb and chocolate chips in the batter, topped with a big layer of crumb topping, then more chocolate chips and finally a dusting of powdered sugar. 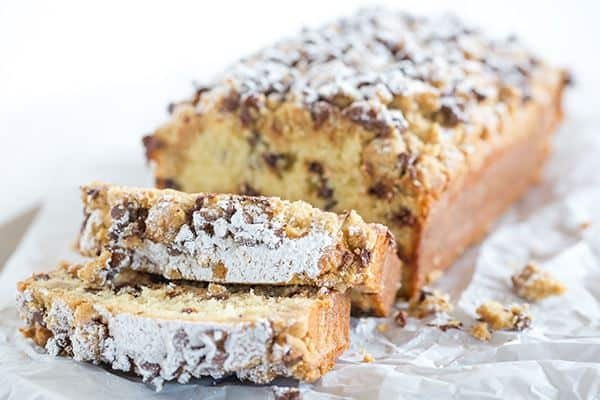 I turned to my favorite recipe EVER for crumb cake – the New York-style crumb cake from Cook’s Illustrated. The amount of batter was just about perfect for an 8×4-inch loaf pan, so I ran with that and added chocolate chips to the batter. My crumb topping browned a tad bit more than I would have liked, so I would suggest checking it about halfway through baking and if it’s already starting to brown, cover with foil for the remaining baking time so those crumbs stay nice and tender. We finished this cake off on Saturday evening and my husband suggested making another one for Sunday dinner, we loved it so much. I didn’t end up doing that (I had already made dirt dessert to go with our picnic meal! ), but this is definitely an easy recipe that I’m going to be making again and again (and maybe doubling every time I make it!). If you’ve made that old recipe and had problems with it, I hope you’ll give this new-and-improved version a try! 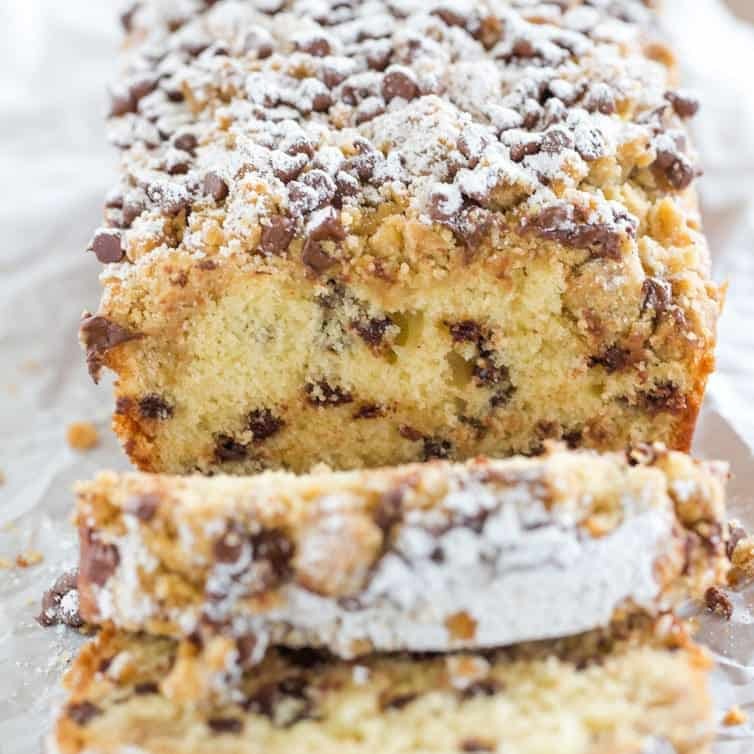 This chocolate chip crumb cake is unbelievably tender, loaded with chocolate chips and topped with the most amazing crumb topping!NOTE: A number of readers have had problems with the volume of the crumb topping, so I am recommending that you cut it in half to avoid any issues. Make the Crumb Topping: In a medium bowl, whisk the sugars, salt and butter to combine. Add the flour and stir with a rubber spatula or wooden spoon until the mixture resembles thick, cohesive dough; set aside to cool to room temperature, 10 to 15 minutes. 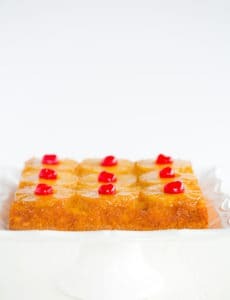 Make the Cake: Preheat oven to 325 degrees F. Spray an 8x4-inch loaf pan with nonstick cooking spray and line with parchment paper; allow excess to overhang edges of pan. Using an electric mixer on low speed, mix the flour, sugar, baking soda and salt to combine. 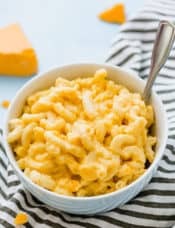 With the mixer continuing to ru n at low speed, add the butter one piece at a time; continue beating until the mixture resembles moist crumbs, with no visible butter chunks remaining, 1 to 2 minutes. Add the egg, yolk, vanilla, and buttermilk; beat on medium-high speed until light and fluffy, about 1 minute, scraping once if necessary. Using a rubber spatula, fold the mini chocolate chips into the batter. Transfer the batter to the loaf pan and spread into even layer. 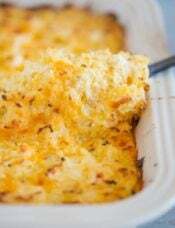 Break apart the crumb topping into large pea-sized pieces and spread in even layer over the batter, beginning with edges and then working toward center. 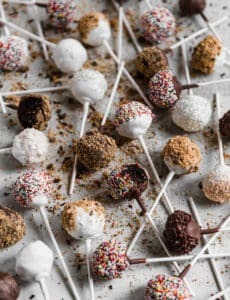 Bake until the crumbs are golden and a wooden skewer inserted into center of cake comes out clean, 45 to 55 minutes (if the crumb topping appears to be browning too quickly, cover with foil for the remainder of the baking time). Immediately after taking the cake out of the oven, sprinkle with mini chocolate chips. Cool on a wire rack at least 30 minutes. Remove the cake from the pan by lifting parchment overhang. Dust with powdered sugar before serving. Leftovers can be stored at room temperature, wrapped in plastic wrap, for up to 2 days. Do not substitute all-purpose flour for cake flour in this recipe, as it will result in a dry, tough cake. Plain yogurt can be substituted for the buttermilk. « Previous Post43 Ice Cream Recipes to Kick Off Summer! I made this cake this afternoon and as others have said, the crumbs sunk to the middle (not as concerned about the chocolate chips sinking, but I had to use regular size). I did follow the directions and I do know how to bake, so contrary to an earlier comment I don’t think that was the issue. I was also surprised the crumb topping had more flour in it than the cake itself, and there was a lot of it, though that isn’t necessarily a bad thing, though this type of crumb topping wasn’t my favorite. Maybe the crumb topping wasn’t cool enough before putting it on top and that’s why it sank? I love crumb cakes! Yours looks so delicious and perfect for the weekend! I made this for Mother’s day this weekend – it was already in the oven when I read all of the comments and realized so many people had the same issue with the crumbs sinking into the cake and chips sinking to the bottom. Needless to say, I was nervous, but it came out perfectly! 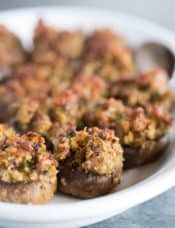 There were a lot of crumbs – definitely more than pictured, but can there ever really be too many crumbs?Followed the recipe exactly and would suggest you do the same! 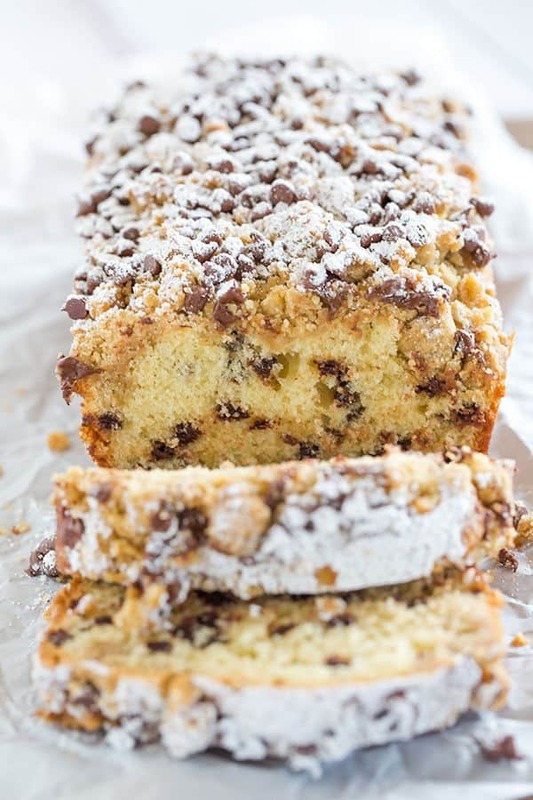 I’m a big fan of crumb cake, and this is the BEST ever! Followed recipe (with full crumb topping, of course!) 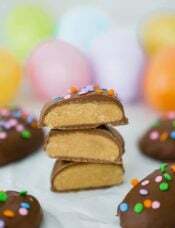 with no problems… It’s gorgeous– and makes a great Easter treat– my family LOVES it. Thank you so much, Michelle! I made this cake after reading everyones comments and turned out amazing! First, I halved the ammount of topping. I didnt put the topping over the cake from the begining. Instead, I put the cake in the oven for about ten minutes until it had a light crust, then took it off and spread the crumble topping. This way it didnt sink in the batter, didnt burn, because it was baked for less time and was beautiful and crispy. I followed this recipe exactly. I was very disappointed. The crumbs melted into the cake and the cake didn’t rise well. I was wondering why there wasn’t a bit of baking powder included. Also I think the crumbs should be refrigerated before using. If you actually know how to bake and follow directions DO NOT CUT THE TOPPING IN HALF, it’s the best part, oh so wonderfully crumbly! I just made this yesterday for a bbq at my in-laws and it came out perfect with the original recipe michelle laid out. Simple an easy. If anything I would say break up the topping after it has cooled, then make the batter, and sprinkle over the top just as the directions say. It will be perfect, no sinking, not too much crumb, like there is even such a thing. I made this this morning and it is absolutely delicious and I will definitely be making it again!! I attempted to make you chocolate chip bread with crumb topping and I must agree with the other bakers in regards to the topping sinking. I cut the topping in half and while cooking it rose up and over the loaf pan and then all the topping sank to the middl. The actual cake was tasty but unfortunately not very presentable. Any suggestions? Just made and tasted this loaf cake. I used 3/4 of the amount of crumb topping and this was adequate. The cake has a nice flavor but very disappointed that all the chips sank and It created a chocolate candy bar on bottom. I would try this again but would flour the chips which directions did not say to do. I should have known better even though they are mini chips they sink big time. Not one chip was in the cake itself. I just made this, and I tried reducing the cake flour in the crumb topping to 1+1/4 cups, since so many people commented on problems with the crumb. Unfortunately, the crumb topping came out rock hard. Such a shame! I’ll have to just pick it off each slice. The cake itself is delicious, though. 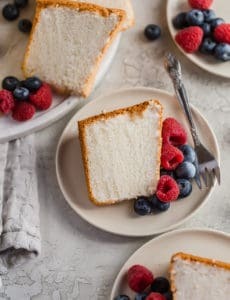 If I make this again, I’d make only the cake or try to find another crumb coating from another site to put on top of this cake recipe. The cake really is good. 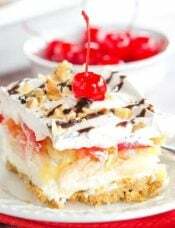 Did you use cake flour for the topping, as well? One time I ran out of cake flour for the topping of ATK crumb cake and just substituted AP flour. Topping came out hard. I made this last night with a couple girlfriends and we all loved it!! I used a 9×5 pan. In the crumb topping, I reduced the cake flour to 1 1/4 cups but left everything else the same. The crumb is one of the best parts! Thanks for a great recipe Michelle!